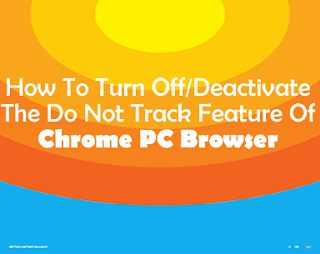 Deactivating or in other words, turning off the Do Not Track feature of Chrome PC browser is kinda similar to the steps involved in turning it on or activating it. 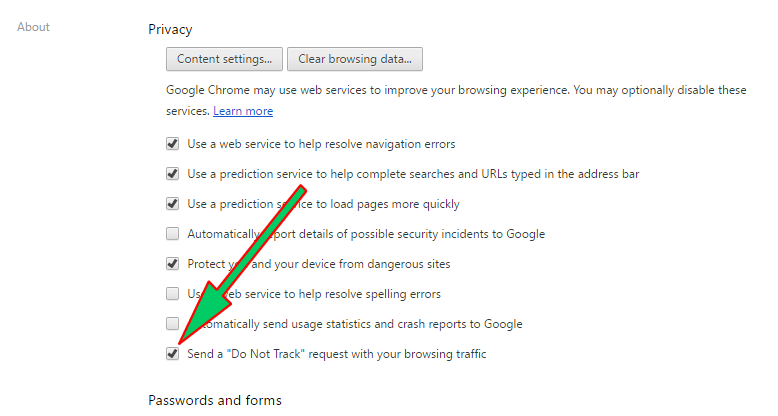 The only difference is that this time, you will unchecked the checked Do Not Track box find in the Settings page of Chrome. 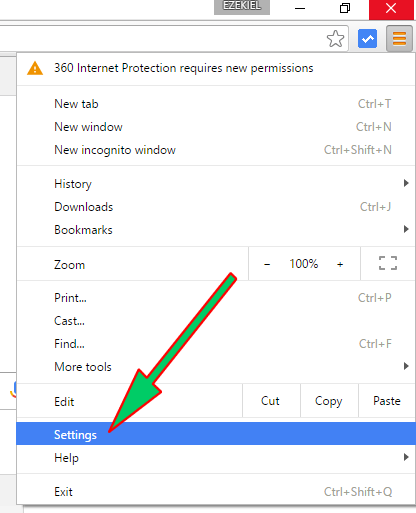 But if you cannot remember the steps or you are not the one who turn it on, here are the steps required to turn off the Do Not Track feature of Chrome PC Browser. Once you have open Chrome, click on the Customize and control Google Chrome icon. When in the settings page, click on Show advance settings... which is found on the bottom of the page. 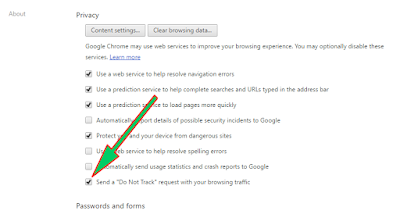 When the Advance setting expand, scroll down to Privacy section and Unchecked the Checked Send a "Do Not Track" request with my browsing traffic check box. 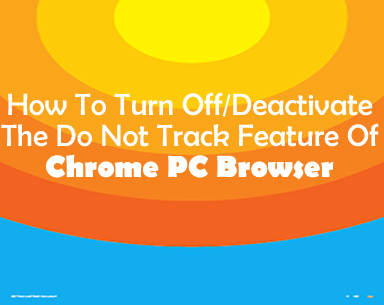 Note: This guide was tested in Google Chrome Version 52.0.2743.82 m (64-bit). Join our newsletter for more internet app related articles from us.